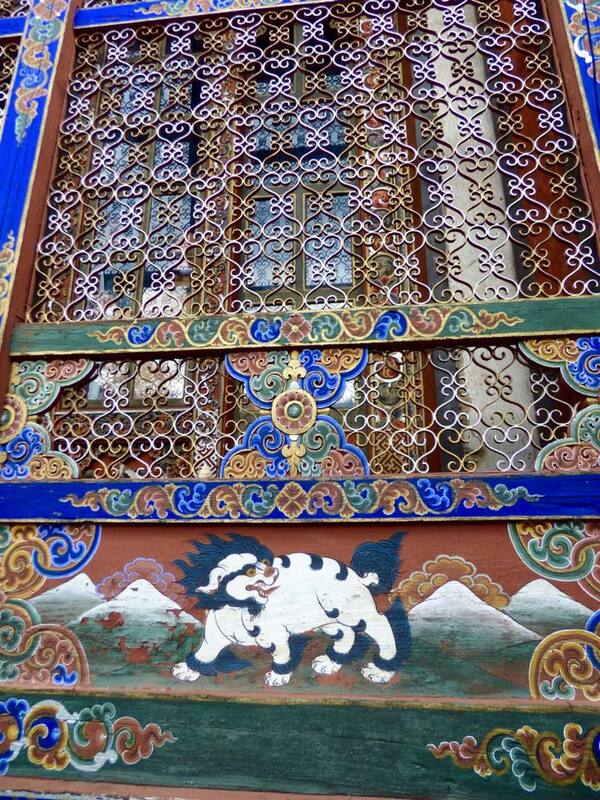 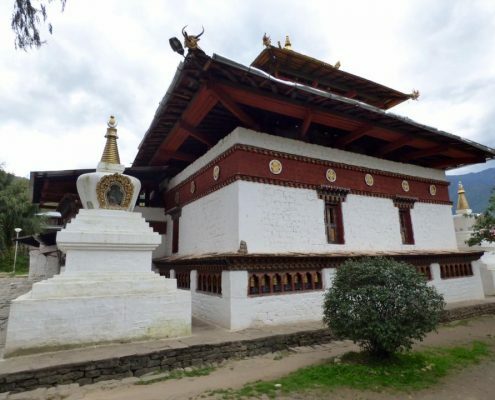 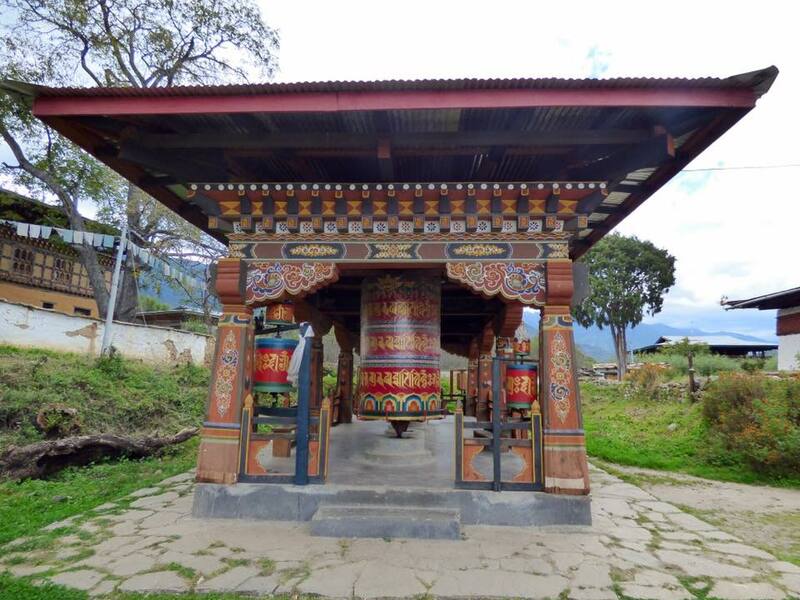 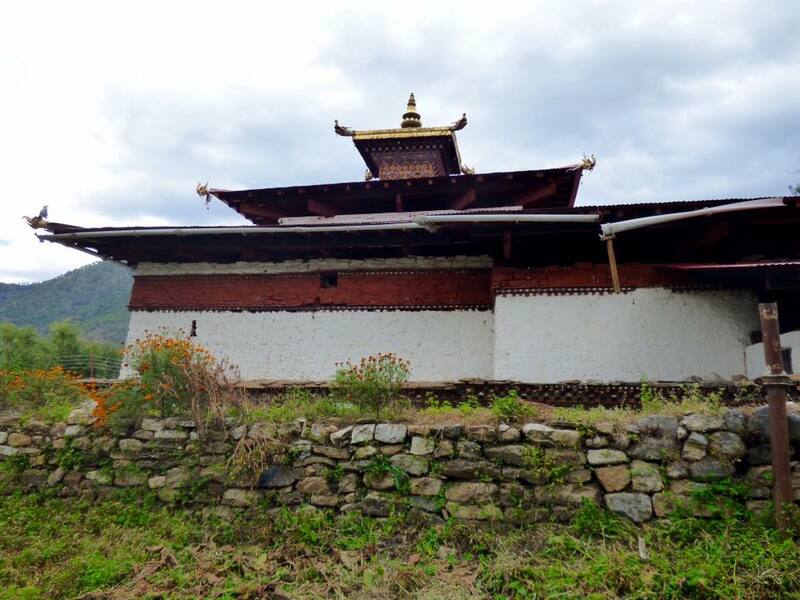 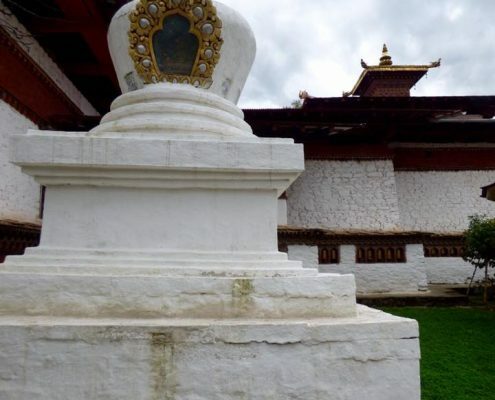 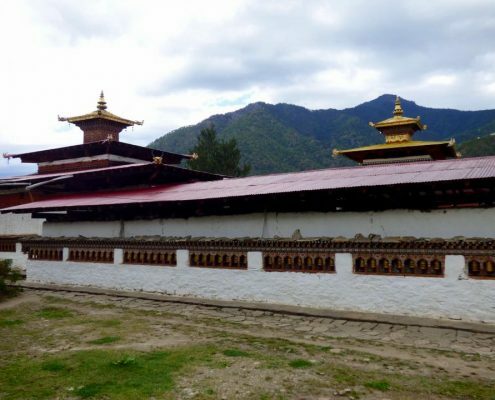 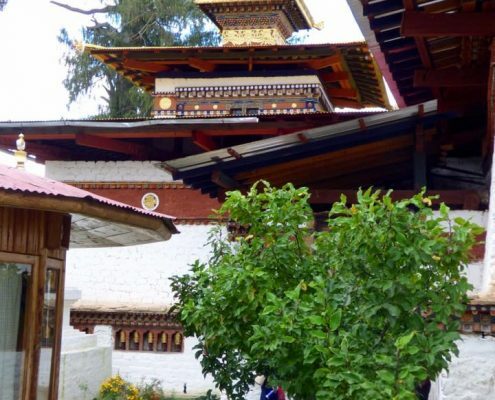 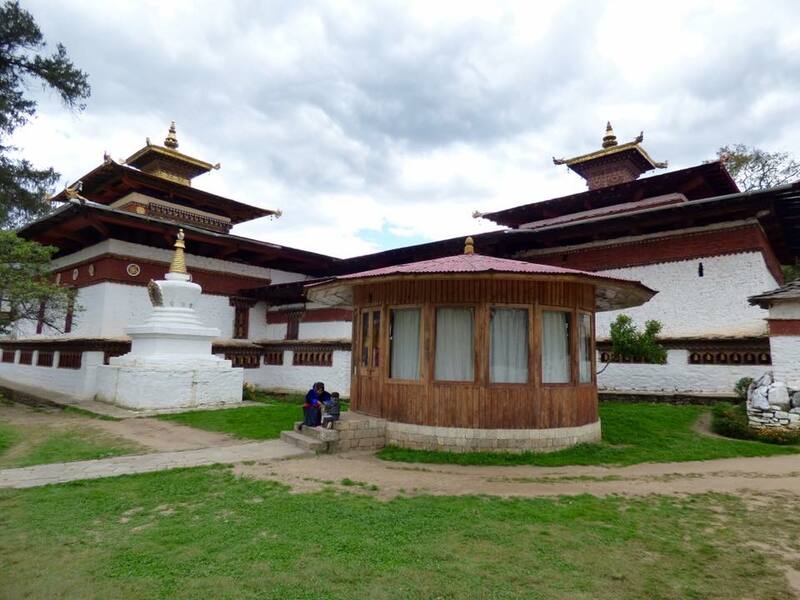 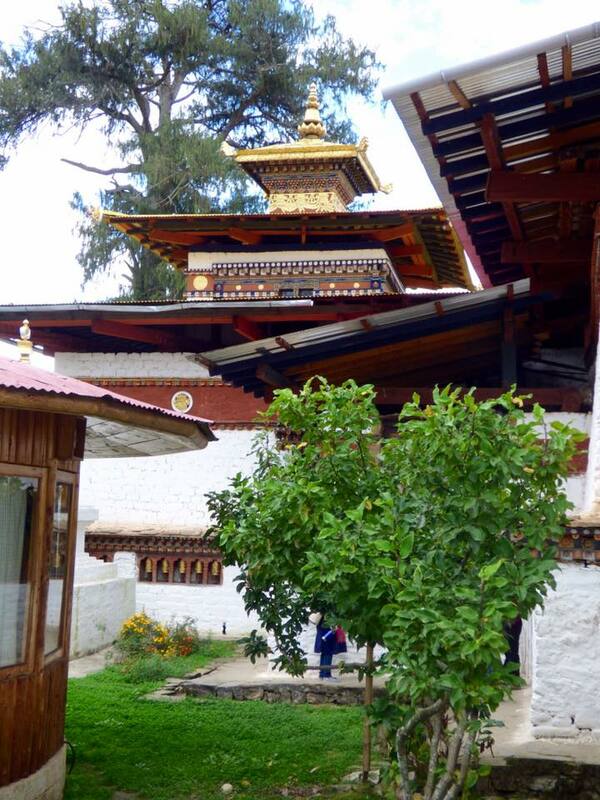 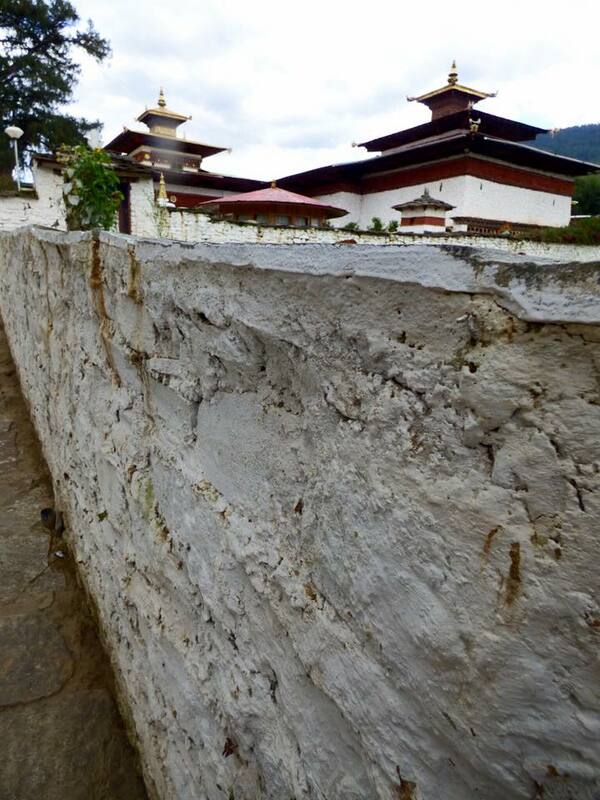 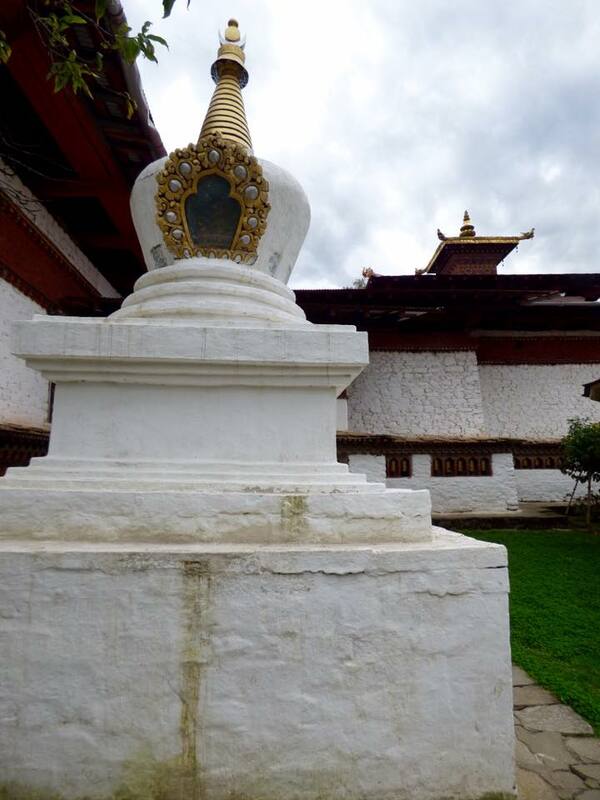 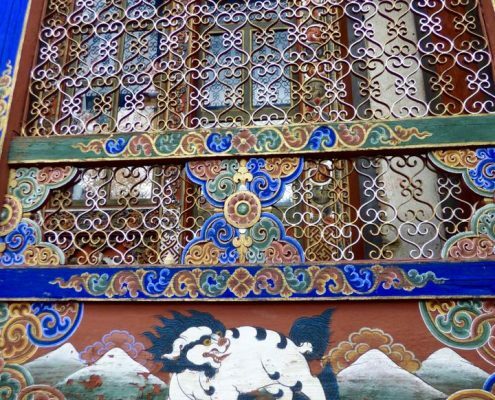 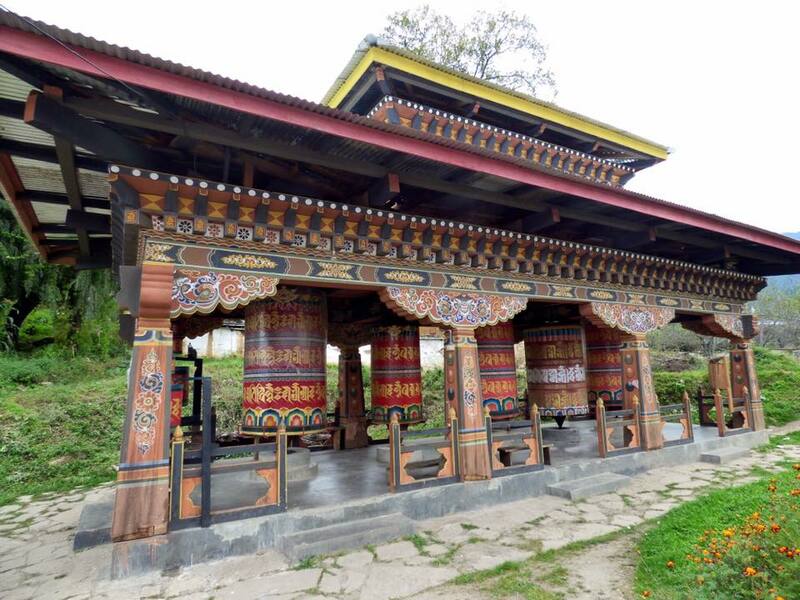 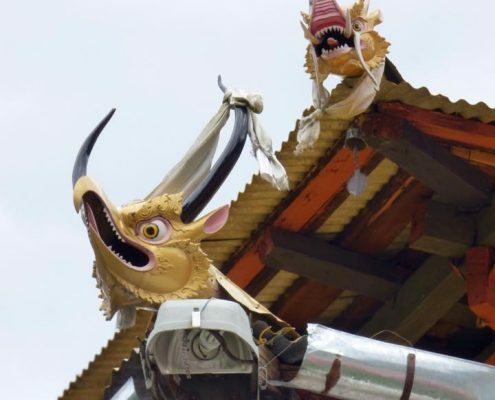 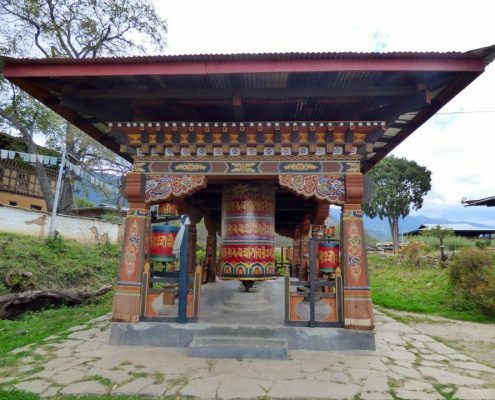 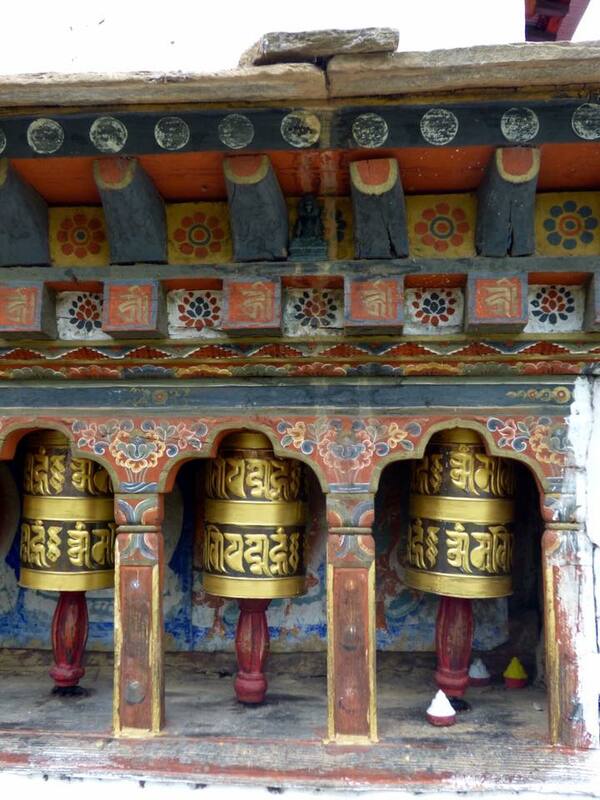 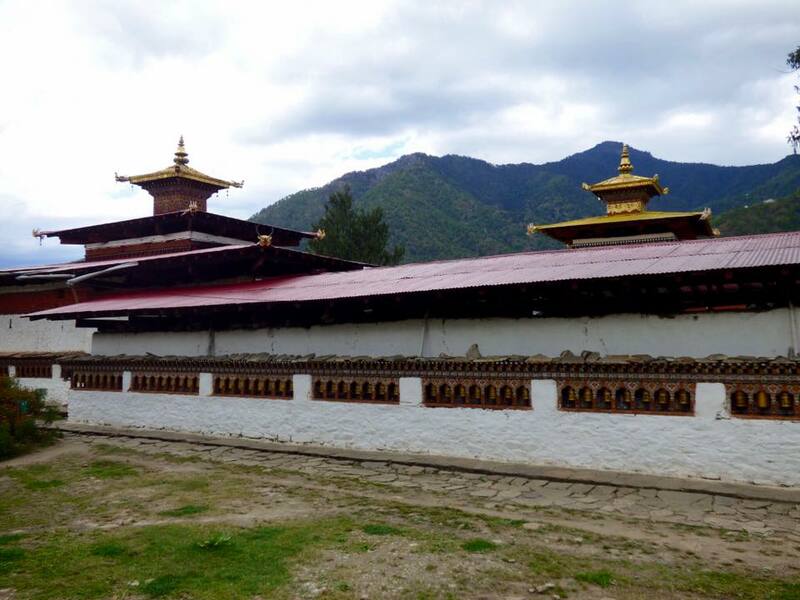 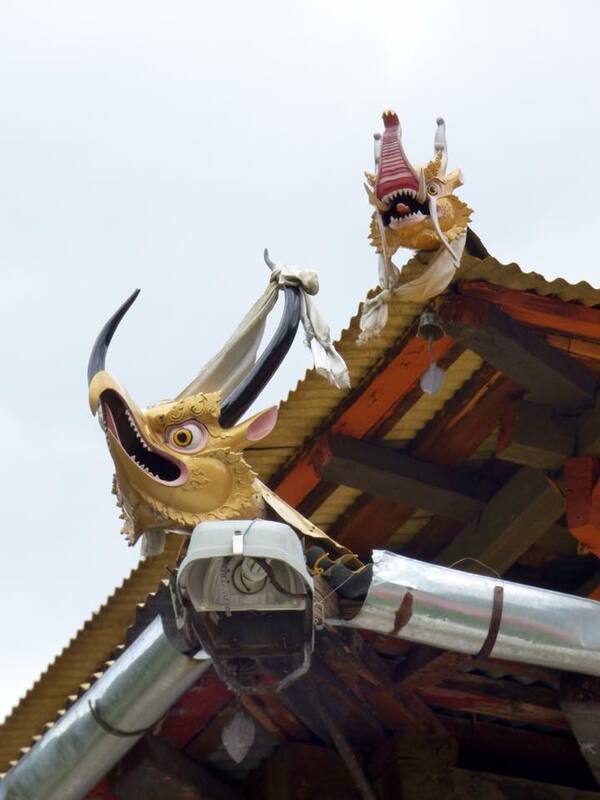 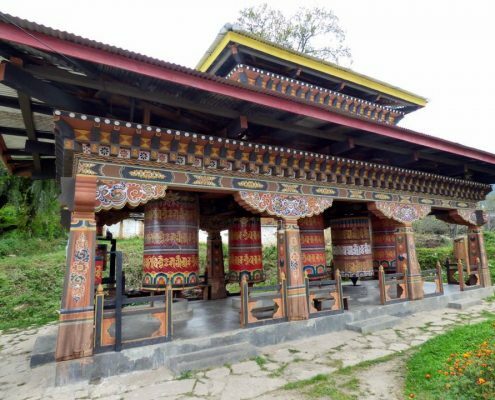 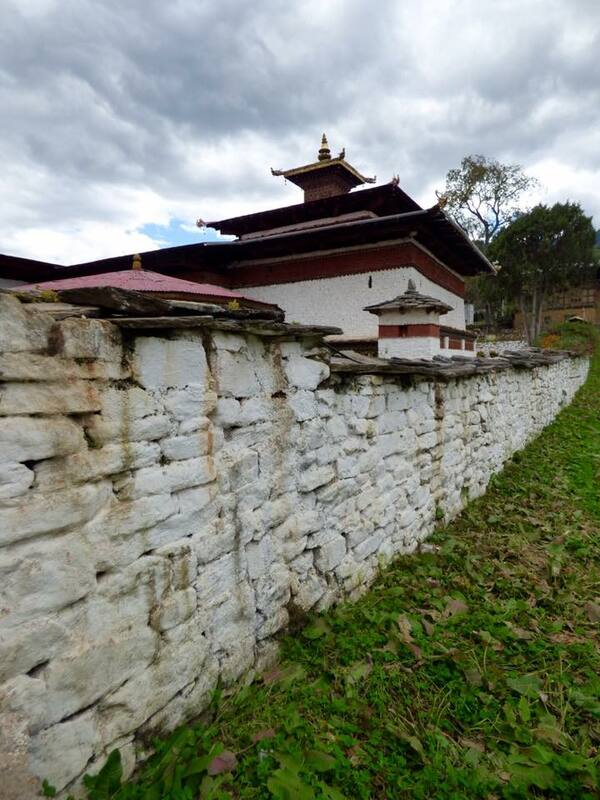 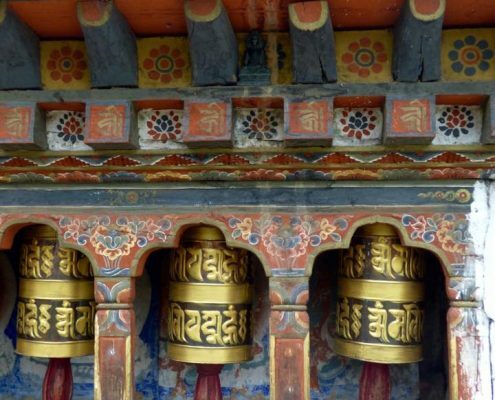 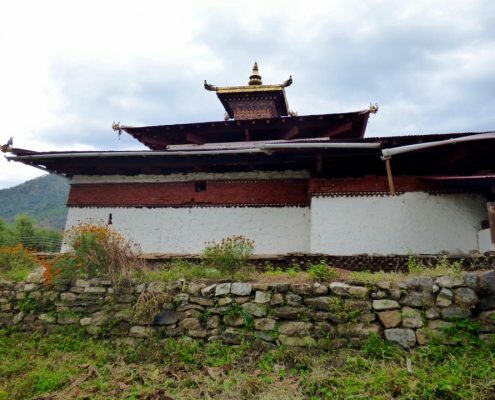 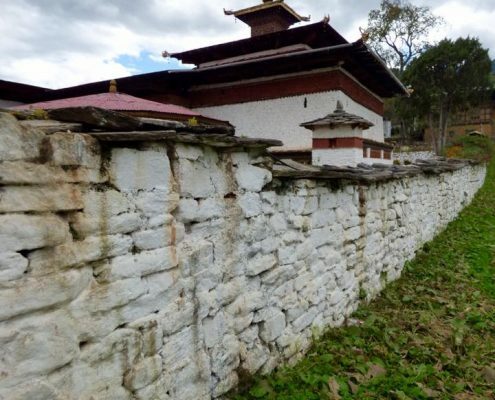 Kyichu Lhakhang is one of Bhutan’s oldest and most beautiful temples. 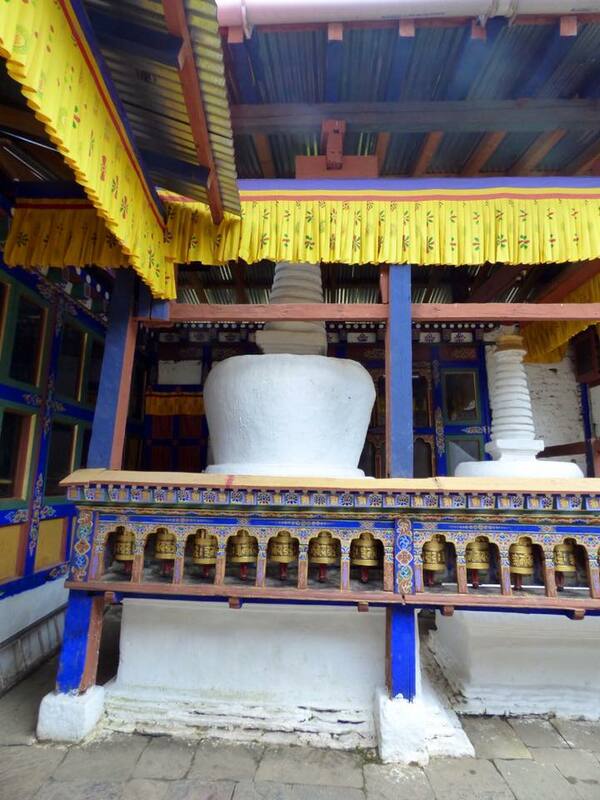 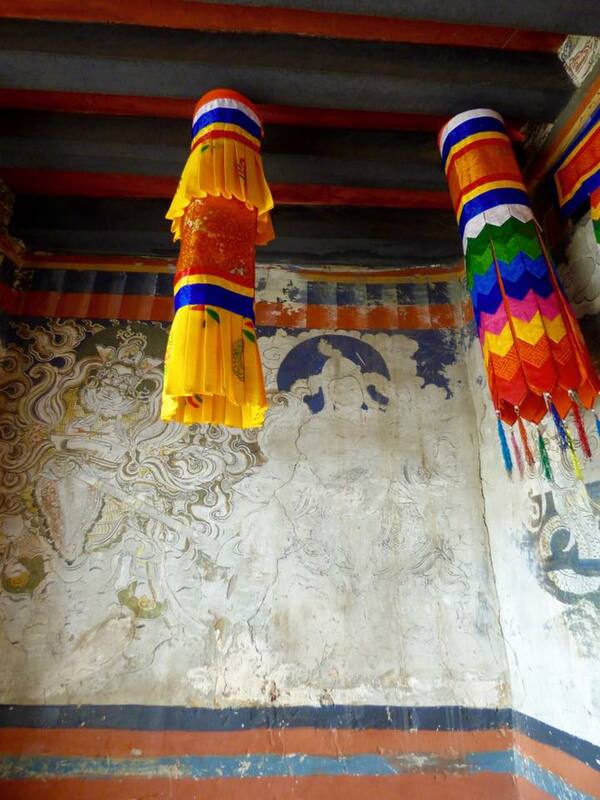 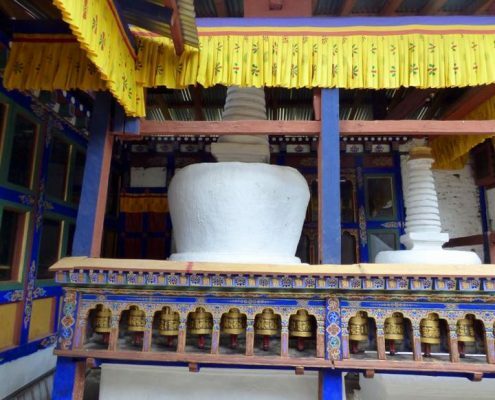 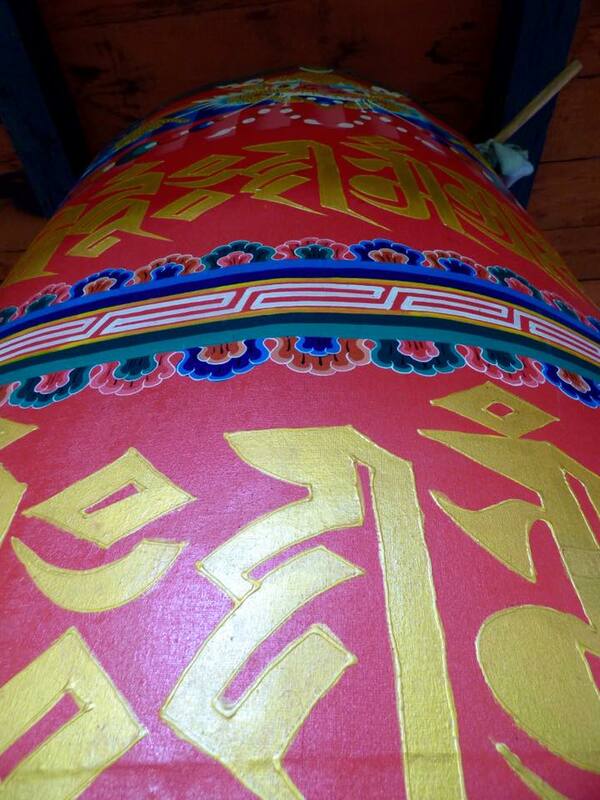 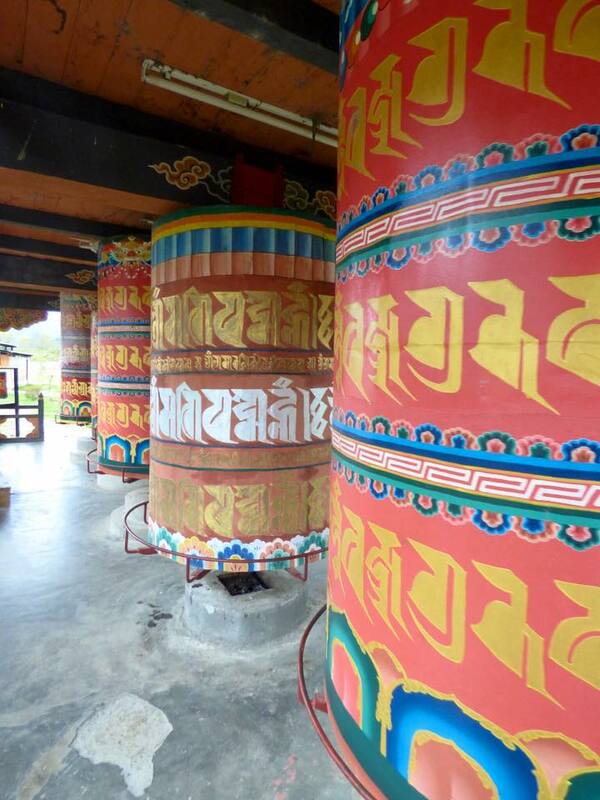 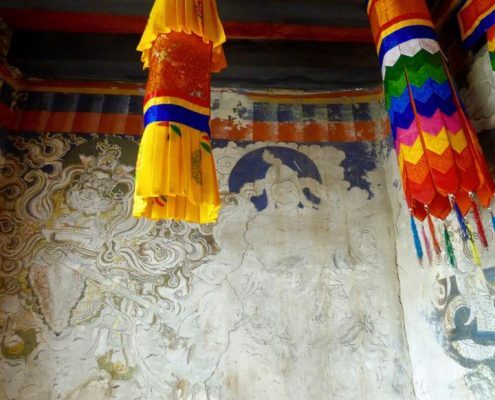 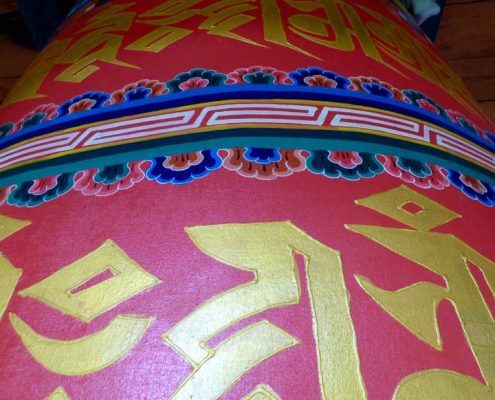 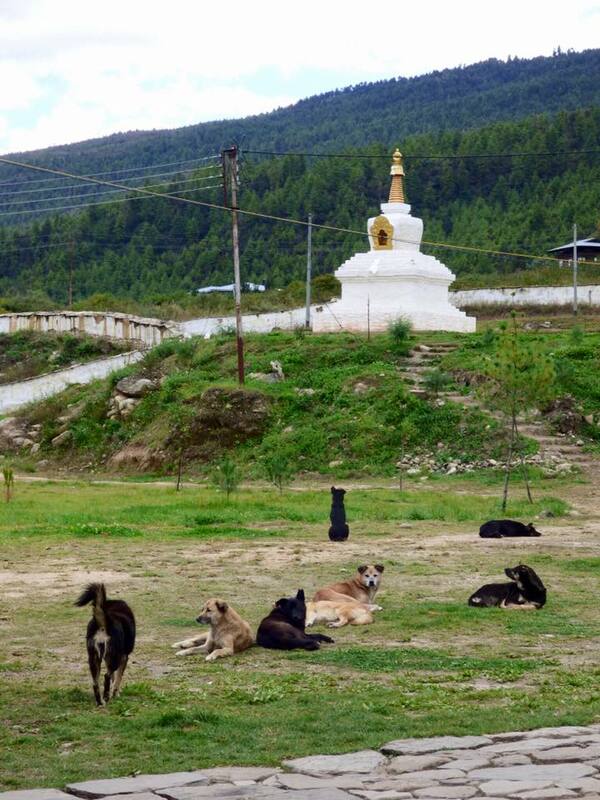 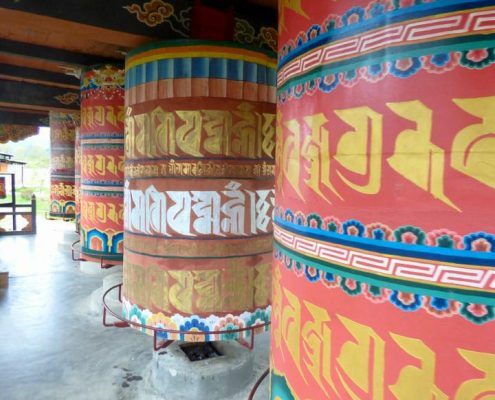 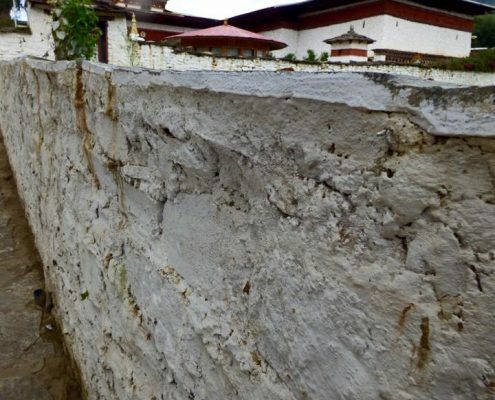 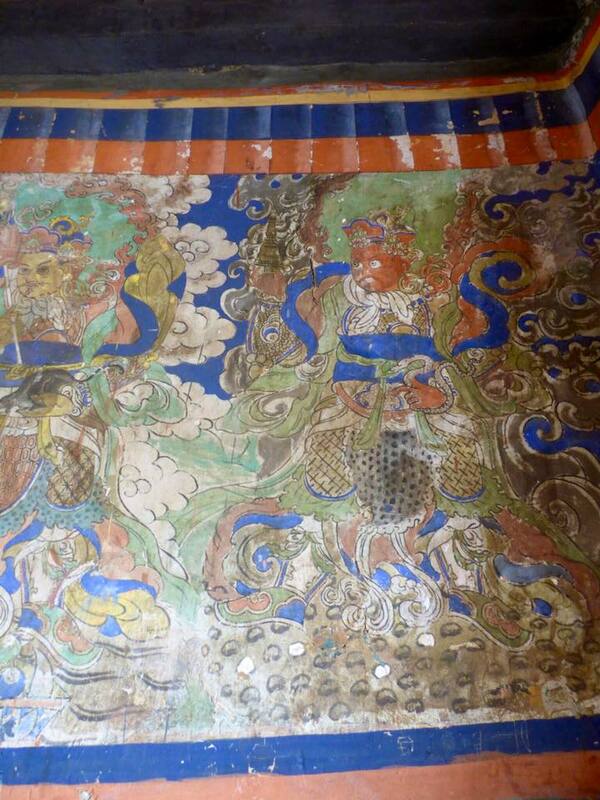 It was built way back in 659AD by the Tibetan emperor Songsten Gampo (part of the 108 temple he built). 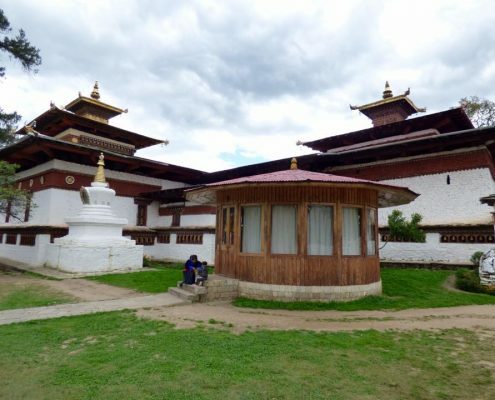 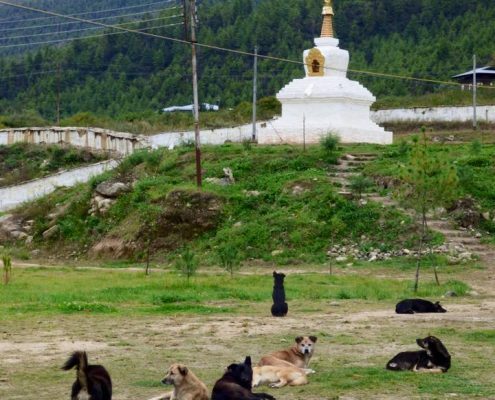 The temple is small and rather unpretentious from the outside when compared to the more modern ones, but inside it houses some of the most important and oldest relics of Tibetan Buddhism. 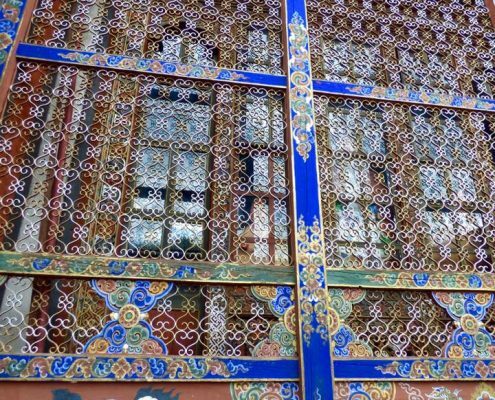 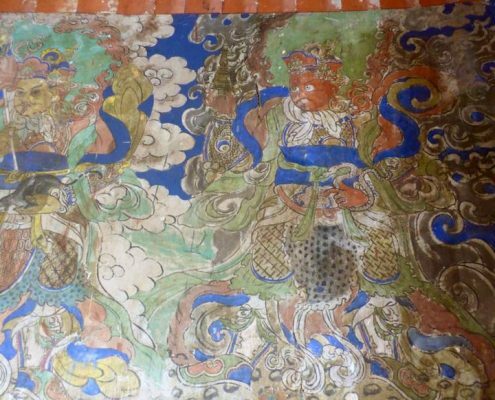 Everything here – the walls, the wooden floor (jewel encrusted), the Buddhist statues, the painting – is over thousand years old. 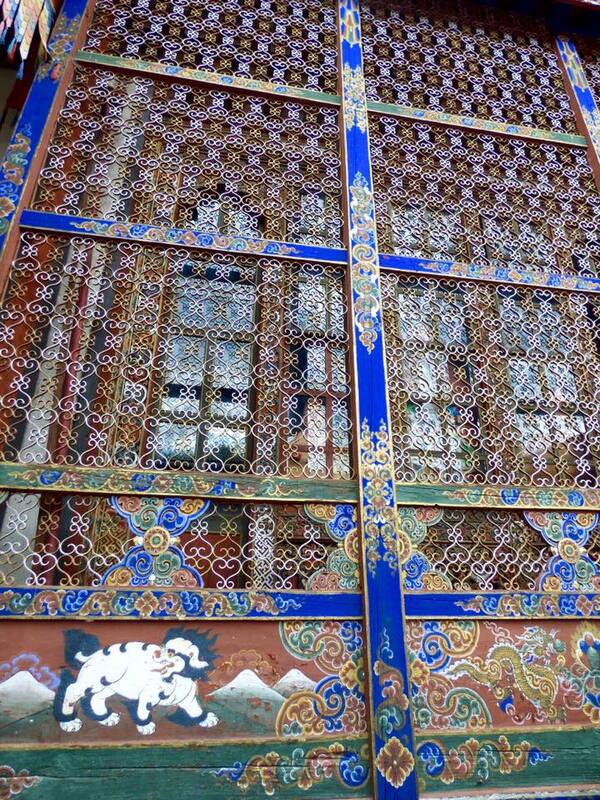 Sadly, no photography is allowed.